Added on May 28, 2016 by ROSEGALLERY. On the release of his new culinary book entitled “Real Food”, the great English photographer was grilled at a round table animated by a Le Monde journalist and the founder of Fooding at the MK2 Quai de Loire. An encounter. Martin Parr, Tokyo, Japan, 1998 © Martin Parr/Magnum Photos. Real Food, Martin Parr, Phaidon (page 35) .© Martin Parr/Magnum Photos. Real Food, Martin Parr, Phaidon. Numéro: Why have you done a book about food? 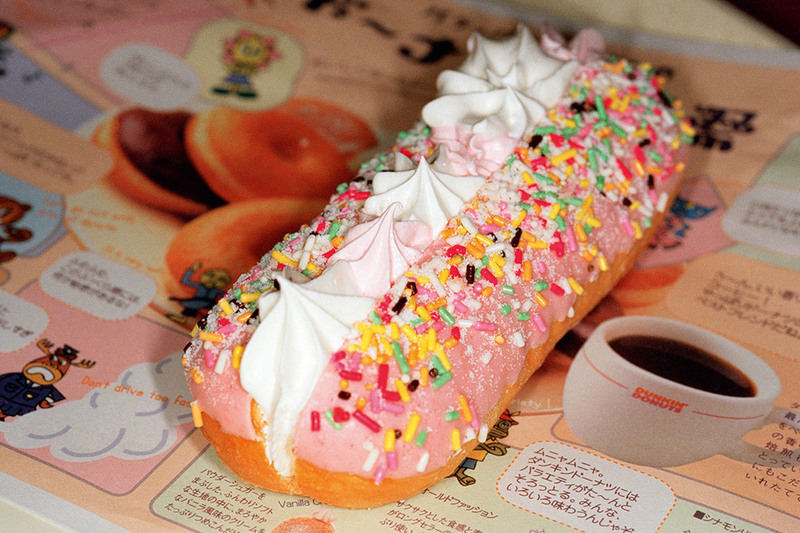 Martin Parr: I started taking photographs of food 25 years ago. I’ve always liked that. At the time no one else was doing it because mobile telephones didn’t exist. I started because I wanted to find another angle to my documenting photos, one that was less sad. And food seemed like a perfect solution. How did you chose the 200 shots in the book (hamburgers, kitsch cakes in the shape of little men or animals, crazy cupcakes, ice-creams, dripping hot dogs, chips, donuts, neon sushi, fatty sausages etc), from 25 years of taking photos around the world? Cheap junk food often looks better than a 26 dish tasting menu for 400 euros in one of the best restaurants in the world. I'm a pretty snobby foodie what it comes to what I eat personally, and while I have tasted some of the dishes in the book when it comes to the photos I just chose what looks best. For complete interview please visit Numéro. Added on March 29, 2016 by ROSEGALLERY. Pioneer of food photography, Martin Parr's Tongue-and-cheek view of how we eat and what we eat is now in a 200 plus slate book Real Food published by Phaidon in April 2016. With meals taken from 36 countries around the globe, Martin peers into the kelidescope of what we can see in a society from the plate of food before them. “You can tell a lot about society, who we are and what we like doing, by looking at the food we eat,” he says in an interview. “As a subject matter, it’s quite revealing. It’s like a new social landscape so it’s been good to explore food all around the world."